Amro Mousa´s AM Backup : Is an excellent program which allows to the user make security copies of the system. Besides it organizes systematically the copied files by extension thanks to its tools which offer us a great number of file to duplicate. Amro Mousa´s AM Backup is compatible with windows 7 and it can perform the recording to CD and DVD, likewise it can create desks with the extensions .zip and .rar due it admits filters and specifications to deny any unwished file. Cobian Backup : It is another program to make security copies. This tool has a very easy usage but at the same time it is really powerful. It can change the configuration to make security copies at application or Windows 7 service level. 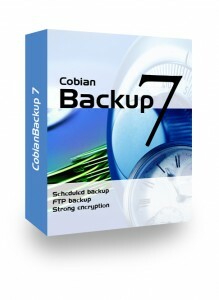 Cobian Backup supports many extensions files of compression; it also executes it on second plane so this will not disturb the normal process of the user or the stability of the system. Between its utilities we can find a help support unit in many languages, a file explorer and a general register or history. Hinx Backup Easy : It is a tool handled by eyelashes, this generates a great simplicity at the moment when you are going to create security copies of the system. With this program you can choose security copies between local folders or random directories. It presents a nice interface for the user, where the execution of the work with a timer and a complete directory of the system have been optimized. Hinx Backup Easy is distributed freely on the internet and it also can be recorded on CD and DVD. Ventis ProBackup : It is a great option to create backups of our most important documents. The security copies are executed periodically on a second plane, so that way the saving of the system data will be sure. The saved information by Ventis ProBackup can be recovered in case the user wants to; this execution is developed really fast and simple. The security copies can be created from hard disks, pen drivers, external disks and local networks. Idle Backup : This one is a great application for the operational system Windows 7, because this allows us to make backup in silence, quietly. This program executes its works on a second plane to create security copies of the system. The only thing the user must do is to specify the destiny of the carpet desired which can be controlled from an external USB memory, a hard disk and even from a network disk. Generally the Idle Backup gets executed while the system is not being used; this option can be activated or deactivated on the option list the program possesses. It is important to mention that the security copies are created from the last security copy saved previuously.